Today gun ownership is a basic American right. Some 300 million firearms are owned by private American citizens in the US‐ i.e. around one gun for every man, woman and child in America, or nearly one third of the US population owns on gun or more. Many of these firearms were bought with home protection in mind, in the event of an unwanted intruder. However, as guns are dangerous objects, they should be treated with respect and caution. If you have a family at home and are concerned about the gun getting into the wrong hands, you aren’t alone.. In a San Francisco Chronicle article in November 2016 it was reported that a 2007 law requiring residents to keep all home based handguns locked in a container within the house would now apply to all guns. San Francisco is a leader in the field of gun safety, and the city has been praised for its methods and approach. Also recently, some eight years after San Francisco, Los Angeles passed similar legislation requiring residents to lock up their handguns at home. See below for best practices to keep your gun safe and accessible only to you. Portable strong boxes and metallic gun case: Metal gun cases generally have a special locking system or the means to attach a heavy padlock. Strong boxes are intended for handguns and the advantage with them is that they can be permanently attached to a fixed surface. Some are even fitted with quick-opening locking mechanisms which include electronic push-button access and fingerprint scanners. Lockable gun cabinet: Cabinets have a simple locking mechanism, and no fire-proofing insulation. They are very light, allowing them to be carried and set up in a location which would not fit a gun safe. 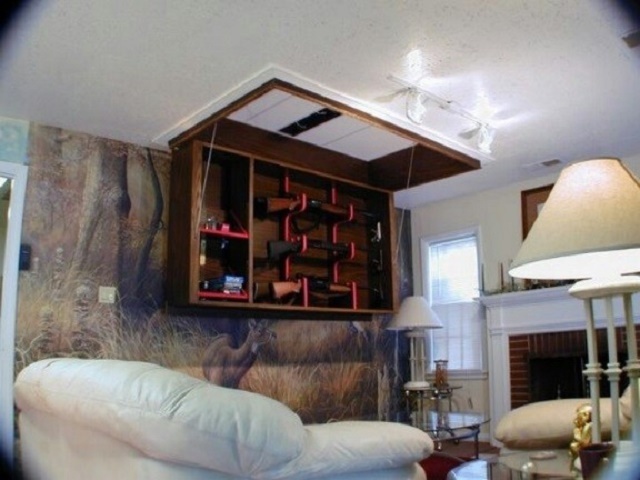 Gun safe: The gun safe is definitely the most secure way to store a firearm. Once locked in a safe, the gun cannot be handled, let alone loaded. Finished with an upholstered interior and built-in gun racks, it is also well insulated while providing circulation. As there are a wide variety of safe gun storage accessories and containers available, it is important to keep your own weapon in a place that is comfortable and convenient for you and your family. Obviously however, these storage units come at varying budgets and your final decision depends on price. It is also important to have a residential locksmith on hand in case of any problems with the lock and its accessories. To keep you safe while you are keeping yourself safe at home with a gun, look up America’s Lock & Key Services. 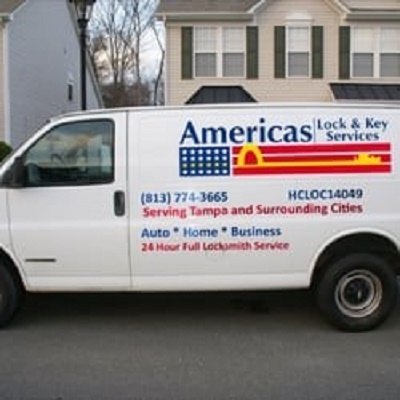 A locally owned and operated locksmith with years of experience in Tampa, Florida. Dedicated to providing an efficient high standard of service – America’s Lock and Key Services works in households all across the region. With an impressive level of customer service their prices are affordable and competitive. With America’s Lock and Key Services you will never pay over the odds, and can be ensured that you are getting the best service at the best price. America’s Lock and Key Services make it their priority to train their staff insisting that they are licensed and insured. An added bonus is that service is available 24 hours a day.